Brief：The 470,000-square-foot building, just south of the 1,200-foot-tall Bank of America Tower, would give Bank of China the newest tower to dot the Manhattan skyline and a flashy new perch from which it can expand its U.S. business.The deal comes as Chinese investors' appetite for high-profile U.S. properties has grown rapidly. The 470,000-square-foot building, just south of the 1,200-foot-tall Bank of America Tower, would give Bank of China the newest tower to dot the Manhattan skyline and a flashy new perch from which it can expand its U.S. business. 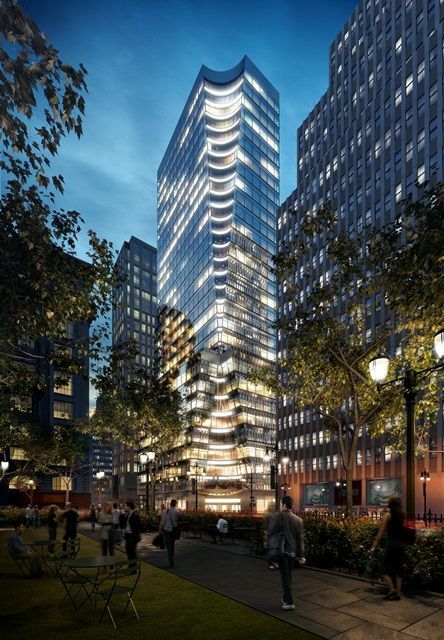 While it is unclear if the bank intends to occupy all of the building, it would be a major upgrade from its current New York headquarters, a small, low-slung brick building at 410 Madison Ave.Bank of China would buy the tower upon its completion next year. The deal comes as Chinese investors' appetite for high-profile U.S. properties has grown rapidly. For years, Chinese investors sat on the sidelines of U.S. commercial property, often showing interest in buildings on the sales block but rarely putting in competitive bids. Since mid-2013, however, Chinese investors have bought stakes in the most expensive building in New York--the General Motors building--two development sites in Los Angeles poised to become high-price apartments, and the most expensive hotel ever sold in the country. That hotel is the Waldorf Astoria, which China'sAnbang Insurance Group Co. in October agreed to buy for $1.95 billion. At the same time, Bank of China has adopted a more aggressive overseas strategy since its new chief, Tian Guoli, took over in early 2013. 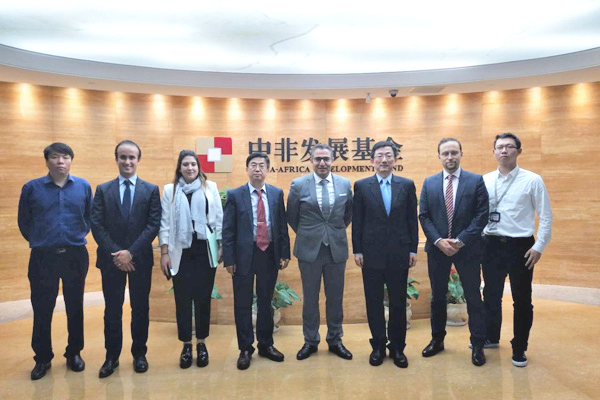 Under Mr. Tian, previously a senior executive at Citic Group, one of China's largest financial conglomerates, the bank has been pushing for larger shares in foreign markets for lending and foreign-exchange trading. For instance, the bank last year provided $4 billion to help finance Chinese firm Shuanghui International Holdings Ltd.'s buyout of U.S. pork producer Smithfield Foods Inc.
Hines and J.P. Morgan, advised by CBRE Group Inc., broke ground on the tower in 2013 without any tenants in a bet that they would be able to fill the tower with U.S. firms willing to pay some of the highest rents in Manhattan. But earlier this year they began negotiating with the Bank of China for a sale, attracted in part by the price tag, according to people familiar with the matter. While the nearly $1,300 a square foot being paid is shy of the more than $1,700 a square foot fetched by a handful of Midtown towers recently, that price doesn't include the cost of building out the office space, often $150 to $200 a square foot, people familiar with the deal said. In addition, the deal, which is technically a long-term leasehold, doesn't include the land under the tower. The land is owned by Pacolet Milliken Enterprises Inc., a limited partner in the tower.